Science and nature are underfoot, in the air and water, indoors and out all year long. Explore fresh water and inland ecosystems, salt marshes and swamps, forest and grasslands. Walk footpaths and trails for to observe wildlife in their native habitats. An observatory can take you to the stars while farms, sanctuaries, refuges, and preserves can bring you up close to native plants, animals, and marine life feeding, resting, nesting and spawning. See 500 butterflies of 50 species from around the world and dinosaur footprints and bones from local sites. Nature centers and trail side museums offer hands on exhibits and programs. Resort lodgings are your own nearby refuge. Take off on a wonderful science and nature adventure at Boston’s Franklin Park Zoo. You’ll find programs and classes for adults, families, youth and teens, school groups and camps, behind the scene tours and teacher resources for use in the classroom. Discover wildlife from around the world including African lion, Masai giraffe, Grevy’s zebra, plus lowland gorillas, lemurs, sloth and more. Explore the Tropical Forest, the Kalahari Kingdom and the Giraffe Savannah. The Aussie Aviary, open seasonally, is home to hundreds of brightly colored budgies and offers an amazing free-flight, interactive bird adventure. Before leaving don't forget to stop by the Things Wild Gift Shoppe for some great souvenir items or clothing. 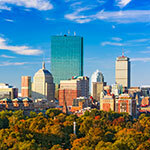 Don’t leave Boston without exploring the 16 galleries in this family-friendly museum displaying 500 taxidermy animals -- elephant, rhino, hippo, tiger, bison, even a 15-foot giraffe -- not to mention huge whale skeletons. Dinosaurs include the skull of one of the first Triceratops ever discovered. Don’t miss the Pteranodon and the world’s only mounted skeleton of the 42 ft.-long Kronosaurus. Explore a timeline of Earth’s history, and admire 3,000 rare minerals, meteorites, and gemstones. New and changing multi-media exhibitions showcase cutting-edge research. Harvard’s most-visited museum is an easy 8-minute walk across the historic campus from Harvard Square’s shops, restaurants and T stop. The museum is connected to Harvard’s Peabody Museum, and one admission fee covers both museums. Star-gazers at the beginner and advanced level will love the out-of-this-world experience at the 4K full-dome W. Russell Blake Planetarium. Programs about the seasonal skies range from “Astronomy 101,” where visitors find the most prominent stars and constellations, to a children’s show featuring Big Bird and Elmo. The planetarium’s high-tech systems offer surround-system and full-screen images that blanket the circular room’s entire ceiling. Sitting back in your angled chair, you’ll enjoy fantastic voyages that focus on the current night sky and show you how to use a star map that you can take home. Or, attend a “Habitat Earth” program where you’ll see stunning visualizations about life beneath the ocean and forest floors. Here’s a fun and educational day out. Located on 26 acres near the Spot Pond reservoir, discover Greater Boston’s only white-cheeked gibbon exhibit, home to monkeys, lynxes, snow leopards, Mexican gray wolves, river otters, and the mysterious capybara. Windows to the Wild offers a large free-flight aviary while Treasures of the Sierra Madre features jaguars, cougars, falcon and coati. The zoo runs a program to breed endangered species, is itself run by Zoo New England, and is an accredited member of the Association of Zoos and Aquariums (AZA). Massive glass atrium building contains up to 500 butterflies of 50 species from around the world. Display cases in the observation area contain butterflies at various stages of development. This area also includes a 15-minute video describing the life cycle of a butterfly. At the Show & Tell Bench, staff members discuss these fascinating creatures. Gift shop features Papillon Hatching Kits. Cape Cod is a peninsula extending five dozen miles into the Atlantic. It was created by glaciers that pushed and dropped rocky debris in a broad curved shape, creating and embracing Cape Cod Bay. At the tip of the peninsula, you can face westward and watch the sun set over the mainland. The seashore embraces a huge mixture of marine, salt meadow, fresh water, and inland ecosystems. Marine and estuary systems include beaches, sand and tidal flats, and salt marshes. Freshwater systems include kettle ponds, spring pools, bogs, and swamps. Visitors also find pitch pine and oak forests, dunes, and grasslands. See full description for Cape Cod National Seashore. 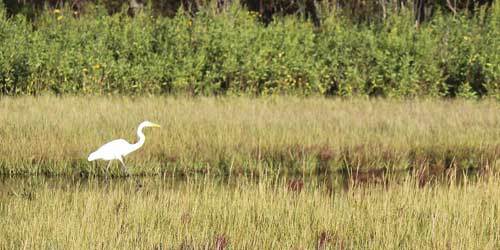 Parker River National Wildlife Refuge provides feeding, resting, and nesting habitat for migratory birds. Located on the barrier beach of Plum Island, the refuge is comprised of more than 4,700 acres of sandy beach and dune, cranberry bog, maritime forest and shrub land, and freshwater marsh. Visitors can drive the 6.5 mile long Wildlife Drive and view a variety of habitats including salt marsh, dune, and maritime forest. The Hellcat Interpretive Trail boardwalk includes both a marsh and dune loop. A number of other boardwalks provide access to the refuge’s ocean beach. Note: beaches are closed April 1 through late summer to protect piping plovers). The refuge visitor center has exhibits, an auditorium with an introductory video about the refuge, and a gift shop. Refuge map. 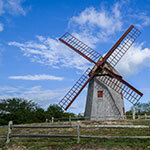 This national landmark is a must-see for any Martha's Vineyard visitor. The cliffs, formed by glaciers, offer an almost other-worldly, multi-colored view. This preserve along the Martha's Vineyard north shore features several trails with numerous scenic views. Beautiful property above the Atlanic and Ipswich Bay. Enjoy watching shore birds and exploring wildflower areas. This was formerly a granite-quarrying area. On summer weekends, tours of the quarry are offered; these include a demonstration of granite cutting. There are wildflower walks and tide pool education programs in the summer and bird observation tours in the winter. See full description Halibut Point State Park. This very old and respect botanical garden is a place of learning as well as pleasure. Classes and lectures are offered on many aspects of gardening and horticulture. 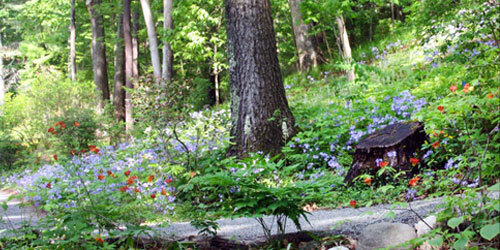 See full listing for Berkshire Botanical Gardens. The Massachusetts Audubon Society operates this nature center, the oldest in the state founded in 1916. There is an admission charge. The magnificent native plant botanical museum, Garden in the Woods, displays over 1,000 native plant species including over 150 rare and endangered species on 45 acres. Hours: April 15- October 31, Tuesday through Sunday plus Holiday Mondays 9 a.m.- 5 p.m. April 15-July 3, extended hours Thursday and Friday evenings until 7 p.m. After October, trails close for the season. Fee charged. Open: Seasonally; call for hours. Satwater and freshwater tank exhibition and a gift shop with unique gifts for all ages. 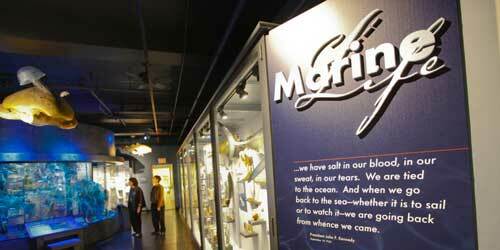 The aquarium is the starting point for marine ecology field trips led by staff members. There is an admission fee. Learn about the raising of fish at one of the largest hatcheries on the East Coast. Wildlife area covers 1,400 acres. Open seven days a week. This relatively short trail takes longer than you'd expect because the half-mile return is through soft sand. Start at the Salt Pond Visitor Center, reached by taking Route 6 to Eastham, where the site is well marked with National Park signs. (There are restrooms here, as well as abundant interpretive information. Note that the center is closed from mid-January to mid-March.) The trail is well marked; it drops through a stunted oak and pine forest into a mature woodland, then takes a boardwalk loop through the cedar swamp. In summer, be sure to use insect repellent. You'll enrich the experience of this trail if you soak up information at the visitor site first, to learn about the wildlife and vegetation ahead. Expect to spend 45 minutes on this ramble. Visitors will enjoy seven miles of walking trails covering nearly 1,400 acres and featuring beaver ponds and a hummingbird garden. Public programs are offered. Open year-round. Astronomy is the order of the day here. 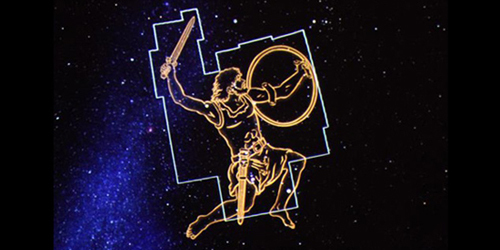 Programs include astronomy classes for children and lectures by astronomers of the Maria Mitchell Association. Open nights for telescope viewing are held year-round on Friday nights. There is an admission fee. Learn more about the natural habitat and propagation of lobsters. The hatchery is open daily. Found just off County Road. Nature center focusing on the American gray wolf, its role in the ecosystem and the environment around it. There is an admission charge. Picnic tables and walking trails offer you the chance to spend a leisurely afternoon. The farm was established in the late 1700s. It continues to be a working farm and is listed on the National Register of Historical Places. Open throughout the summer. Stroll through a floral wonderland of thousands of plants! Specialty gardens and pressed flowers await plant lovers in the herbarium, and this is the prime place to learn about gardens, conservation, and science. A 4.8-mile round-trip marked trail at takes you past salt marshes and dunes, leading to the beach. The views of Cape Cod Bay are awesome. This barrier island and ocean beach at the end of Sandy Point are a beautiful place for walking and observing nature, particularly the aquatic bird life. The piping plover and least tern make their home and nest here. Visitors must enter through the adjacent Parker River National Wildlife Refuge. Parking lots are available. Pedestrians may enter the beach but muse avoid fenced areas to protect birds and dunes. Open sunrise to sunset. Rare wildflowers line the eight-acre coastal plain pond; there are 65 kinds of holly trees here, along with vernal pools and migrating birds. More than 30 species of dragonfly can be found at Ashumet Holly. 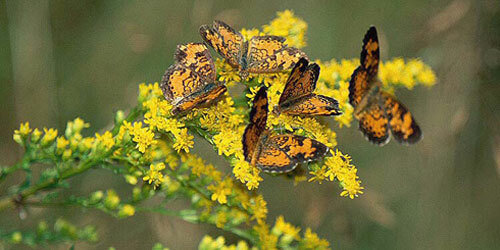 See full description of Ashumet Holly Wildlife Sanctuary. At this sanctuary, visitors can enjoy nine miles of hiking trails, in addition to lectures and other programs in a renovated horse barn. Purgatory Chasm is a split between granite walls rising as high as 70 feet. It is a quarter-mile in length. Enjoyed by picnickers and rock-climbers. The Chasm was formed by the release of glacial meltwater about 14,000 years ago. Trails lead to a wide variety of rock formations, like The Corn Crib, The Coffin, The Pulpit, Lovers' Leap and Fat Man's Misery. Restrooms are wheelchair accessible. Once the site of a schooner shipyard, the boardwalk will take you past marshlands to Gray's Beach. At the end of the boardwalk are benches overlooking Dennis's Chapin Beach. Vistors to this nature center will find plenty of self-guided trails, as well as live native birds. Of particular interest are ospreys nesting in their natural environment. There is an admission fee. This nature center includes a self-guided hiking trail. An extensive boardwalk system lets you walk along the edge of Teal Marsh. 10 miles of trails and an observation tower are set in this natural preserve. Ninety-seven acres of salt marsh to the east and a freshwater marsh to the south. Located on Popponesset Bay. 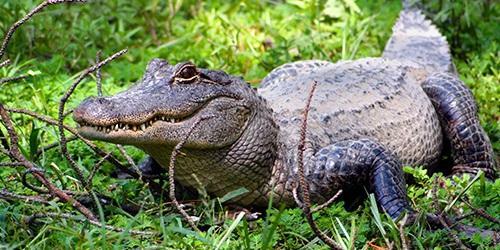 Exhibits, programs and nature trails focus on the environment, ecology, and natural history. There is also a library on the property. 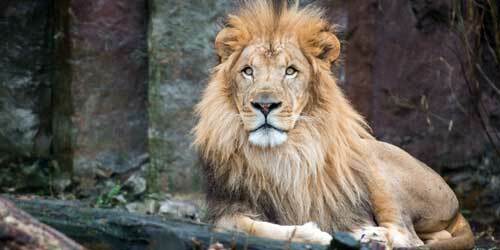 Museum offers hiking trails, live animals and regularly scheduled programs. There is an admission charge. The 18th century house owned by children’s author Thornton Burgess highlights the 354 acres of walking trails and natural beauty. A library and exhibits offered. Exhibits at this museum focus on dinosaurs, minerals, and crystals. The 80,000 holdings cover historical and scientific topics. Visitors to this site can observe salmon as they swim upstream to spawn at a power company dam. Open only in the spring. There is an admission charge. Nature trails are the focal point of this site, which includes a trail for the visually impaired. Exhibits and programs are scheduled here daily. This is on the Outer Cape, on the Cape Cod Bay side (west). The shifting sands have built a pathway out to Great Island, which is restricted to only walkers and boaters. Talk with the rangers at Race Point in Provincetown about conditions and timing for the tides. Sometimes there are ranger-led trips to Jeremy Point, considerably safer than going on your own. 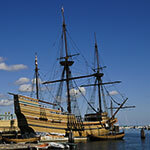 To reach the start of the trail, take Route 6 to Wellfleet and follow signs to the town pier. Turn right onto Kendrick Road, then left onto Chequessset Neck Road. There's a parking lot at the end of the road. This trail is somewhat strenuous, moving through woods, dunes, and swamps. During high tide it may be wet in places. Expect to spend nearly four hours if you walk the full length of the trails. Exhibits focus on prehistoric archaeology and anthropology. This is the largest salt marsh on the East Coast, some 4,000 acres, and there's a nine-mile (round trip) trail to Beach Point that takes about four hours to complete. Summer birders have a chance to see the nests of the endangered piping plovers in the sand. But it's best hiked in the cooler seasons, as this is a vigorous trek. Reach the area in Barnstable by heading to the end of Sandy Neck Road, where there's a parking lot. There are guided spring wildflower walks at this 3,000-acre site, which features three miles of nature trails and two museums. Other than being a nice lake to visit, this lake is notable for an unusual reason--it's native American name is Lake Chargoggagomanchaugagochaubunagungamaug. The translation: "I fish on my side, you fish on yours, and no one fishes in between us." The nature center features 25 acres of varied terrain, with five miles of trails and an observation tower. The 700-acre sanctuary includes a floodplain forest, marshes, and a grassland habitat. Visitors to this nature preserve will enjoy hiking trails, live farm animals and hayrides. During the winter season sleighrides are offered. This beach walk is at the tip of the Cape. From the ranger station to Race Point Light is a two-mile westward ramble along the shore. Seasoned hikers may sniff at such a distance, but by the time you reach the lighthouse, you'll have sampled the extra labor of walking in sand and be glad for a lunch break! Return the same way, but by now the tide will have changed the look of things, and you've got a fresh view, out into the Atlantic, to keep you in awe of the water and weather. Be prepared for stiff breezes, and wear sun block. There are walking tour maps available at the Provincetown Heritage Museum (% 508-487-0666) at Commercial Street and Center Street. It's open from mid-June to mid-October. Or just do it on your own by walking up and down Commercial Street, poking your nose into the harbor at MacMillan Wharf, and heading uphill to the Pilgrim Monument and Provincetown Museum. A 475-acre park and wildlife refuge, featuring fishing areas, biking and hiking trails, public swimming, and picnic areas. Programs are scheduled there throughout the year. Maintained by the Massachusetts Audubon Society, these four separate preserves offer visitors ample opportunity for wildlife observation and study. Nature programs are scheduled throughout the year. There is an admission charge. Visitors can enjoy walking trails and exhibits at this nature preserve, set on 55 acres. Accessible only by boat, this refuge is home to more than 250 bird species. Visitors are also permitted to surfcast in certain areas. Commercial boats provide transport to the refuge in season. The highlight of Menemsha Hills is Prospect Hill, one of the highest points on Martha's Vineyard, whose spectacular view includes the village of Menemsha, the Elizabeth Islands, and Gay Head Light. Former woods roads and footpaths pass through several distinct ecosystems, including perched wetlands. At Menemsha Hills bluffs, a view of the Great Sand Bank provides a reminder of the Vineyard's glacial origin. Views are spectacular. Directions: Starting from State Road in West Tisbury, turn right onto North Road heading westerly toward Chilmark and follow for five miles. Entrance, with parking spaces, is just past Tabor House Road, at right. This sanctuary comprises 1,100 acres of salt marsh, sandy beach, pine woodland, and freshwater pond, and is home to a wide array of wildlife. For fun and healthful activities, families can begin at the new Nature Center, visit the butterfly and hummingbird garden, and then wander along the five miles of trails. Indoor and outdoor educational activities for kids and adults, including walks, lectures, and cruises. 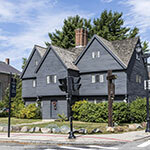 This unique museum focuses on the topography of New England's countryside and how it has been affected throughout the 18th, 19th and, 20th centuries. Hiking trails lead from the center out into the forest. There is an admission fee. You'll find a plethora of Mid-Cape flora, marshlands, and views of Bass River along several trails. 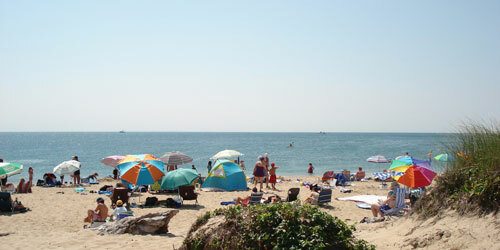 A 2½-mile round-trip trail to Cape Cod Bay at Crow's Pasture will take you past wild apple and cherry trees, honeysuckle, and beach plum. Don't miss Scargo Tower with views of Cape Cod Bay and beyond. A very romantic place. Follow Scargo Hill Road to the tower. Caratunk Refuge, operated by the Audubon Society of Rhode Island, provides a protected habitat for native plants and animals as well as many educational programs. Camp is held here in the summer for children and public programs concerning the environment are held year-round for concerned citizens of all ages. Park rangers are available in summer to guide visitors through this park, with the only naturally formed white marble arch and man-made white marble dam in North America. The park has a beautiful deep gorge formed the Hudson Brook and an abandoned marble quarry. There is a walkway above and through the chasm. See full description of Natural Bridge State Park. Scenic shoreline wonder. No admission charge. A marine research and propagation center. Stairs lead down to the lagoon and a dock. 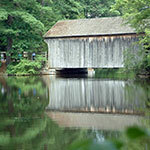 Stroll through outdoor splendor of 50 acres with oak and pine woods, berry plants, rhododendrons and other Cape flora. Located behind the post office on Route 6A, the trails are open throughout the year during daylight hours. A display of dinosaur footprints and bones that were found on the site. Open seasonally.